Together we can achieve more! Exercising as a group in a community is fun, supporting, social, motivating and makes time time go quickly. If you are after the most wonderful Yoga classes in Lane Cove, feel like jumping on a spin bike and cycling away your stress, want to lengthen your body and build muscle strength in a pilates reformer or challenge yourself in a barre class then read more about the benefits of each program below. Yoga is an ancient Indian practise that blends exercise and healing. 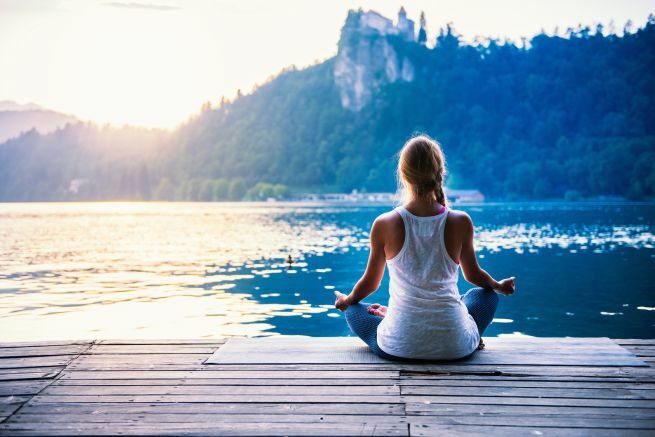 Movement is combined with breathing techniques ending with meditation and mindfulness. It is an overall body workout focusing on poses that can be done standing in an upright position or on the floor. Yoga is recommended for beginners through to advanced and for all age groups. Yoga is run for 60 minutes in the main studio, please bring a mat with you. Candlelit Yin Yoga – A 60 min gentle meditative restorative yoga that relaxes you into the postures, allowing you to work on the joints more so than muscles done in other types of yoga practise. Yin stretches deeper near the bones, ligaments and joints targeting the deep connective tissues of the body to help regulate the flow of energy in the body by relaxing candle light. Great for beginners and those with light injuries and sports people athletes training for events. 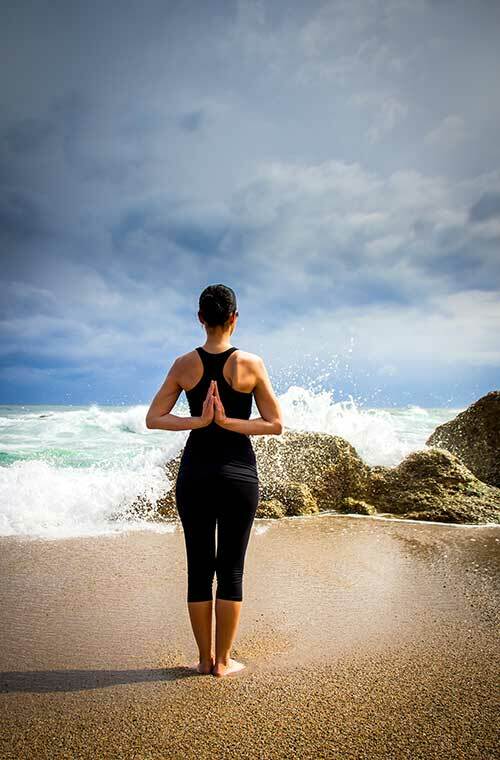 Sunset Yin Yoga and Meditation – A 90 min deep stretch yoga practice to relieve any unwanted toxins and stress, bringing your mind and body to rest and compete peace in preparation for the week ahead. This yoga is for the joints more so than the other yoga practises that target the muscles as the stretches in Yin Yoga go deep into the connective tissue, ligaments, bones and joints. Suitable for all levels and ages. Valuable for people with anxiety or stress and those who work with a computer. Kundalini Yoga – A 60 min integrative combination of movements & postures, conscious breathing, deep relaxation, mantra & meditation. It is a dynamic and powerful tool for total health. A Kundalini Awakening is the awakening of Kundalini energy, which resides at the base of the spine. The energy begins to move up the spine in some way, shape or form. This style is suitable for all levels and improves self awareness, meditation, brain function, memory, circulation, relaxes nervous system and reliefs stress and anxiety and reduces blood pressure. Hatha Yoga – A 60 min gentle yoga style combining poses and breathing which brings balance, strength and a sense of wellbeing. Many poses are done standing incorporating spine twists to increase blood flow and detoxification of the organs, increasing spine mobility and muscle strength. Great for beginners to advanced. Vinyasa Yoga – A 60 min physical yoga combining creative flowing movements from Chaturanga to downward dog multiple times with inhaling and exhaling. Great for people not fussed on sitting still wanting to focus on strengthening the upper body and legs, relieving back tension and stress. Ashtanga Yoga – A 60 min constantly moving, flowing class that follows a repetitive pattern of poses. Great for strength, improving circulation with some fat burning as the postures are moved through the sequence at pace. Suitable for intermediate to advanced. Pilates techniques are designed to help the body lengthen and strengthen whilst allowing it to move freely. Pilates classes are suited for all people of all age groups and experience levels. Pilates classes are for 60 minutes and are held in the main studio. Members are required to bring a mat to the class. A range of equipment will be used in the Pilates classes including rings, rollers, balls and blocks to allow members to get into the correct positions. Pilates Mat Fundamentals: a perfect class for beginners or people who haven’t done Pilates for a while. Covering the basics of Pilates with a strong understanding of muscle activation and how to strengthen hips, abdominals and glutes reducing pain and preventing injury. Soulful Fitness has a separate reformer studio that has 12 beds. Reformer Pilates Classes are run for 60 minutes at various times in the timetable. Reformer beds were invented by Joesph Pilates in the 1930’s and have been used around the world. They are composed of a flat bed that has a carriage that rolls back and forward and strength and stamina is the result of the resistance of the springs used during the exercises. Springs can be adjusted to suit the exercise, the strength of the participant and the overall objectives of the class. It is a requirement that you attend 3 Pilates mat classes before you attend the reformer classes to have a basic understanding of technique and breathing. Each member will be allowed access to book into a maximum of 2 classes per week but able to jump into additional classes if they are not full. It is recommended that reformer classes are combined with Pilates mat, yoga, spin or barre classes for maximum effect. Private one on one sessions are also available outside class times with a Soulful Fitness Reformer Instructor for $99 per hour private session. There will only ever be a maximum of two private sessions in any one time in the room. 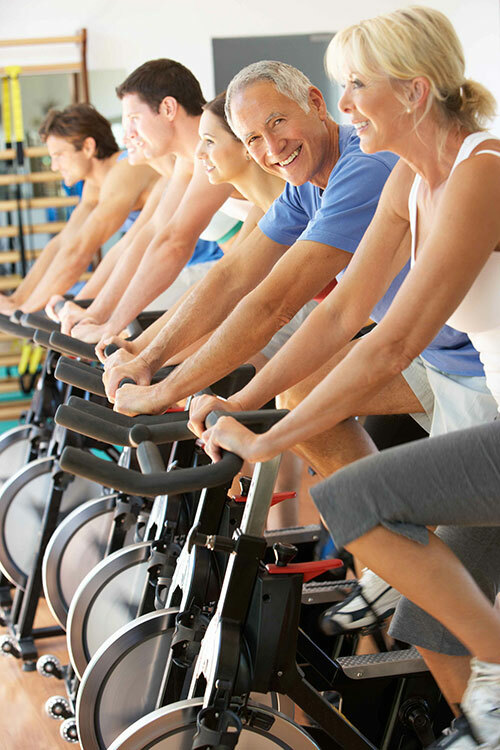 Spinning classes are classes held in a special spin room with 25 stationary bikes. They are held frequently throughout the day and classes vary between 20, 40 and 60 minutes. If you want to add a bit of stamina and sweat to your yoga and Pilates program then mix a class into your weekly schedule or even jump on a bike for more of an energetic workout and end your session stretching out in a yoga class. When starting out try a 20 minute class and as your fitness level progresses you can go for a class that is longer or more challenging. If you have high blood pressure, heart disease or epilepsy we recommend that you seek medical advice from your Doctor before starting an exercise program. Pilates, sports conditioning, strength training in a fun and relaxed environment. Join this guided meditation session to with techniques that are designed to revitalise the mind and body promoting relaxation, stillness, self-reflection whilst building internal energy, and developing compassion, self-love and patience relieving pressures, stress, tension, worry and anxiety in this busy world. Join us for a refreshing self-rejuvenating 45-60 mins to recharge.